If Yangon charms, Mandalay appeals even more. Where Yangon reminds us of a bygone era and a distinct British influence, Mandalay has an even stronger old world charm. Not a very small city, it is amazing to see the number of pagodas and Buddha shrines glittering in gold on hills surrounding the city. 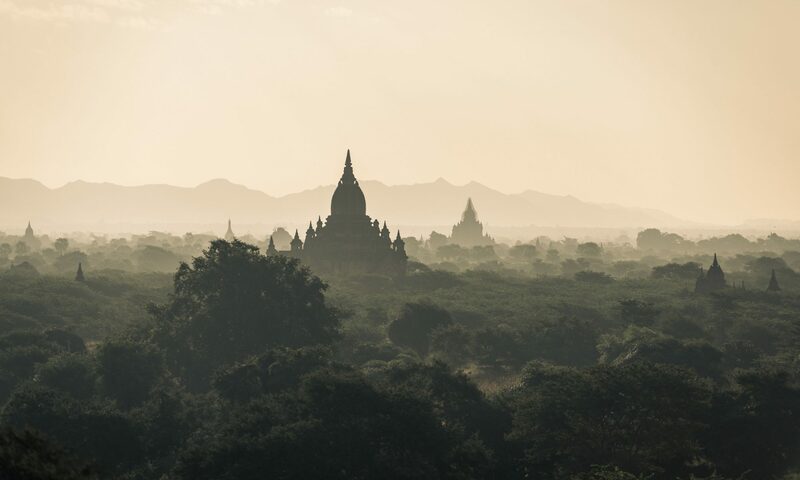 Culturally rich, the epicentre for business and trade for Upper Myanmar, Mandalay is home to over 2 million people, including 50% of the country’s monks, and a slightly larger percentage of Bamars compared to other ethnic groups of the country. A former capital, home to two Myanmar kings, the flowing Ayeyarwady River, Phaya Gyi Pagoda that houses one of the most revered Buddha images, are some of the star attractions of the city. The U Bein Bridge is one of the oldest and longest teak wood bridges in the world, 1.2 kilometers in length and was supposedly erected in 1850. A trip to Mandalay is memorable for its majestic sights, both natural and manmade. The sunrise behind the golden tips of numerous pagodas, the sunset from the old teak bridge, are breath-taking. A visit to the sprawling Royal Palace, a walk by the surrounding moat, a day trip to Mandalay Hill, lined with pagodas and monasteries, the list is endless, and a week is barely sufficient to discover all the religious and cultural sights. One notices a stronger Chinese influence in this city compared to others, and the use of Mandarin language is common among the people, and also on signboards. It is not uncommon to find second and third generation Chinese in the city. Burmese cuisine rules Mandalay and one is spoilt for choice. Other cuisines are also available, and the less adventurous tourist will find ample Chinese, Thai, Indian and Italian food restaurants. No matter how much western influences penetrate, the best loved dishes include Mandalay Mee Shay (a rice noodle dish with pepper, pork and bean sprouts), Mont Di(another rice noodle dish with curried chicken or pork and special spices), fried crickets eaten as a snack, tea leaf salad, khow suey and mohingya, and other Burmese delicacies. Tea shops line the streets and tourist spots, and remain popular meeting places for the locals. Nightlife revolves around the numerous bars and cafes, a night market which sells some amazing wares, and cultural shows held from time to time. The enigmatic city, Rangoon became Yangon in 1989. But as they say, “what is in a name”. it is the same place with character and beauty, charm and attraction for locals as well as foreigners. Having visited this city once, there is a desire to come again and again. Yangon today is well on its way to becoming a modern cosmopolitan Asian city, acquiring all the structures and components of a developed domain. High rise buildings, hotels and luxury condominiums, shopping malls and restaurants have all mushroomed all over the city. Once the centre of trade and education, the city has a colourful past, having served as the capital of the erstwhile Burma and continues as the country’s commercial capital, still the most developed out of all cities, holding something for everyone who visits, or like me, chooses to stay. The city has a long history and has been exposed to numerous influences, all of which are evident in some aspect of the city. The most conspicuous is the strong British influence that stays long after they left the country 68 years ago, in the form of architecture, cuisine to an extent, and the English language which faded away during the decades of isolation. Yangon has a distinct Asian feel, a lot of the world charm, excellent architecture, natural lakes and parks and sufficient greenery that makes a difference to the quality of life. The largest number of colonial buildings in South east Asia, can be found in Yangon, and it is home to the most beautiful Shwedagone Pagoda, and the 2000-year old Sule Pagoda, and scores of other equally peace-inspiring pagodas, museums and markets, lakes and gardens. In the last five years the city has grown and expanded, and now seems to be bursting at its seams. We have witnessed the skyline changing, and the one visible, vast green expanses stretching till nearly the horizon, have now been curtailed, with tall new structures of hotels, malls and residential complexes, and cranes lifting concrete have replaced the golden domes of pagodas we could see in the distance. The number of cars has multiplied manifold, and traffic jams have become a permanent fixture on most roads. The density of population has also increased, with citizens finding this city the best bet for employment and a seemingly better life, as well as expatriates coming to explore avenues for business. Yangon is home to nearly 6 million people who find it safe and the most liveable city in the country. It is only now after five years that we hear of petty crimes, random night time dangers and a threat to its safe status. I remember the time when the prospect of moving to Yangon first came up, I checked and found out that Yangon at that time was the safest city in the world. The image is somewhat tainted now. What I like about Yangon is the pace of life, the smiling faces, the simplicity of its people and the richness of its culture, the all-pervasive Buddhist beliefs that are deeply entrenched in the common man, who learns to share and donate out of his meagre portions, who extends help and assistance to anyone and everyone, and who happily renounces worldly ties and goes for meditation retreats once or more annually. 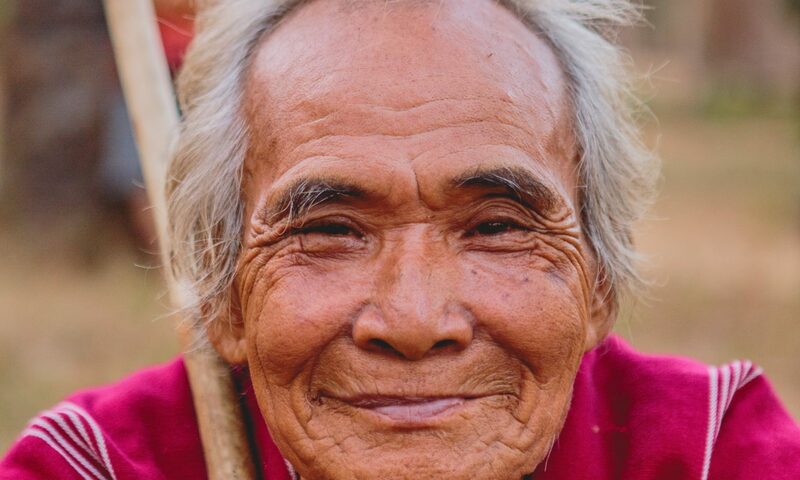 It is this Buddhist spirit that keeps them content and accepting, away from violence and craving and also away from crime. From very early in life people learn to follow the path of Dhamma, give donations to the needy and share what they have, and live a life of devotion and faith. Any reference to Myanmar brings to mind pictures of a tall imposing golden dome of a vast structure against the backdrop of the clear blue sky, and as dusk descends, it lights up the surrounding areas as the hundreds of lights luminate the glittering gold. This is the Shwedagone Pagoda, also called the Great Pagoda, the Golden Pagoda or the Shwedagone Zedi Daw. From a picture post card to images online, none do justice to the 99-meter tall Shwedagone Pagoda. With a city built around it, one crosses it frequently enough but none of us ever have our fill of the place. There is something that fascinates, that tugs and we feel a pull towards it, and as we cross it, we stop everything else, to just keep looking till it disappears from sight, and absorb its beauty one more time. The Shwedagone pagoda is one more reason to love Myanmar, and having seen this one pagoda, all others, despite their own charm, pale in comparison. Its not just about the beauty of the physical structure, its towering presence above and beyond other structures, but more about its peaceful, almost ethereal ambience which we are all so reluctant to leave. The pagoda is 2500 years old with a long history. It was initially built by the Mons as a short 8.2-meter structure on top of the Singuttara Hill that lies to the west of the Royal Lake. Over time it has undergone renovations and now stands at 99 meters with layers of gold plates that make the structure glow at any time of the day and night. It is the Shwedagone experience, and not its history, that I would like to share. An entrance fee of USD 8 is charged from tourists. As we enter, in sleeved shirts and full pants, the crowds are the first to catch our attention. One sees so many local Myanmar people, most other historical religious places would have a higher number of tourists. Tanakha on their faces, they softly make their way towards the entrance. This is what makes Myanmar different, from places like India-the crowds never rush, push or tug, no breaking of lines and no hurry to be the first to enter. Quietly everywhere, even the children, await their turn. In five years, the quiet ambience has been replaced by crowded fervour just due to the number of visitors within. The ambience is no less mystical, but there is often a wait to worship at shrines, pouring water, or the exact spot on the platform from where one can see the different colours reflected as the rays of the setting sun and the spotlights thereafter, fall on the large diamond and other gems at the top of the stupa. The top of the stupa is encrusted with gems including 5448 diamonds, 2317 rubies, sapphires and other gems, 1065 golden bells, and a single large 76-carat diamond. The best time to visit the Pagoda are either early morning around sunrise before the sun reaches too high and becomes too hot, or around dusk when there is still natural light, and see the drift towards darkness and see artificial lighting flood the place illuminating the dome, spire, the 64 pagodas encircling the base, and every shrine. A single visit is never enough to this oldest Buddhist pagoda in the world. Even after several trips one wants a chance to visit again. It is probably the peace and calm that permeates the soul, the feeling of being in a place far removed from the outside world. As for myself, I have visited the Pagoda numerous times, and would happily go time and again. I cross it often from the outside and for those five minutes, as I drive by, my eyes remain glued to the sheer golden beauty of the Shwedagone Pagoda. I came to Yangon twenty months ago to make my next home here, while my husband explored business opportunities for the conglomerate he has been working for. As we settled in, we made a list of places to visit, where to go, what to see and generally know what to do in our free time. Information on Myanmar is not as detailed on travel sites as other places, and like most tourist information, we were skeptical whether the hype about Yangon would also be more than what meets the eye. After some research we set out on our sightseeing jaunts every weekend (almost), and came up with our favorites, which should qualify as the best five places to see in Yangon, not just for their beauty, but also because they are unique and reflect the character and charm of the city. Shwedagone Pagoda- The Shwedagone Pagoda is by far the best monument not only in Yangon but in the country of Myanmar. Regal and majestic, as it stands 320 ft above the ground, in the center of Yangon, the pagoda is one the biggest religious monuments to be constructed. It was built sometime between the 6th and 10th century AD, though it was not as gigantic to start with. Today, it is spread over 14 acres of land, with 90 tons of gold and its dome topped with over 2000 carats of precious stones including an 87 carat diamond. The stupa is regilded every year. There are hundreds of Buddha statues that can be reached by the four gates and four walkways. Visitors must be barefoot (without socks too) and suitably attired-no shorts or sleeveless shirts are permitted. Foreigners have to pay an entrance fee of USD 8, while locals can go in free of charge. Expatriates with stay permits are issued passes which allow them free access to the pagoda as well. It remains crowded at all times, but serenely quiet, with hundreds of tourists and locals sitting quietly or walking around. Numerous monks can be seen in prayer in various parts of the pagoda. What strikes outsiders is the look of peace and calm as they sit in penance, as if transported to another level of existence. Aung San Suu Kyi’s residence- Nobel Peace prize winner Aung San Suu Kyi, is the world’s best known Myanmar citizen, and naturally her house, located on University Avenue, evinces tourist interest. This is also because she continues to reside in the same house where she was kept under house arrest since 1989 till 2010 with a few breaks of freedom. As the leader of the National Democratic league she is also the most acceptable leader for the country’s various ethnic groups. The old colonial house is not open to tourists, and all that is visible is a high-fenced structure with a locked gate, but carrying the NLD flag. Tourists pose at the gate, and like us, are disappointed since they cannot even get a glimpse of what lies inside. From the side, a small lake, a small pagoda are visible behind the house, and one presumes, these offered solace and comfort to Suu Kyi during her years of confinement. Scott Market- Also known as Bogyoke market (Bojo for short), it is sprawling colonial structure lined with small shops selling everything from food and clothes to gems and antiques. It is a one stop market providing everything any tourist may want, be it the traditional attire of Lungyis, net and lace, or the famous Lacquerware, paintings and other artefacts. The cobblestone streets are narrow, and it is a treat to see tiny holes in the wall manned by pretty Myanmar women, most with tanaka painted cheeks. Most of the passages are covered, so walking around in the rain is not difficult. The market does have sections with specific alleys for dress material, gems, handicrafts and also food. It is the best place to find local fruits and preparations and eating typical Myanmar delicacies is quite an adventure, not to be missed. Located on Bogyoke Aung San Road, it lies in the downtown area, not far from the Sule Pagoda, and the Sule Shangri-la Hotel (previously called Traders’ Hotel). Strand Hotel – A touch of class, a taste of the old world charm, British Victorian-style architecture, and a journey back in time visualizing Somerset Maugham sipping his tea in the coffee shop overlooking the Yangon River. For those interested in history and literature would be happy to know that this hotel has had personalities like Rudyard Kipling, George Orwell and Oliver Stone reside here on their visit to Yangon. This 113-year old hotel exudes its old world charm and its marble floors and teak interiors add to its rich splendor. The perfect place to sit and enjoy a cup of tea in the evening, though ships passing by are no longer visible. Inya Lake – This is not any lake or water body, and I consider one of the places worth seeing simply because of what one sees around the lake. As the largest lake, it is located six miles from downtown Yangon, and has a beautifully manicured park, and walkways where locals come at all times of the day for rest and recreation in the midst of natural beauty. Having travelled a fair amount, I cannot think of any other lake in other countries, where one still sees youngsters, strumming the guitar, singing in groups, ambling along lazily without any rush, and eating under the shade of the tree even during the day. Could it be the need for open space, or is it its beauty that brings hundreds of people both young and old, to Inya Lake…I still do not know. But I see it crowded from dawn to midnight. A walk around the lake can take up to two hours. There are tens of other places of tourist interest, but for someone wishing to see to see a select few, or running short of time, must see these, to get the real flavor of Yangon, and its culture.